CuriosityStream, the Silver Spring-based documentary streaming service, has lowered its subscription price and begun offering a limited number of documentaries to customers at no charge. The price of an annual subscription is now $19.99, the company recently announced. In addition, the service, launched by Discovery Communications founder John Hendricks, announced CuriosityStream SHOWCASE™. 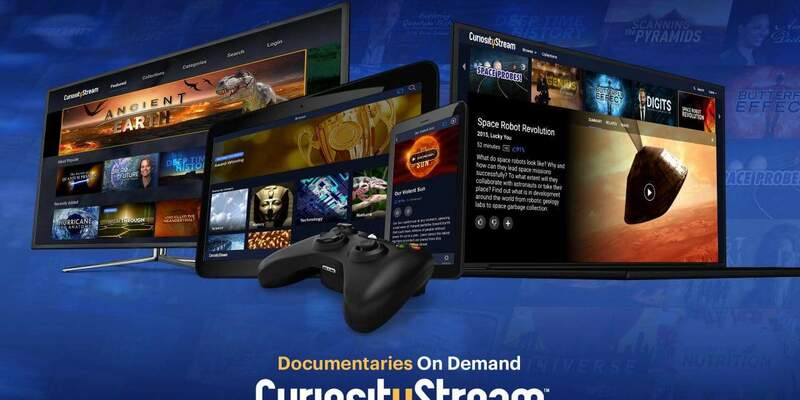 This new service offers free global consumer access to 18 free CuriosityStream titles along with sponsored content from six category-exclusive premier sponsors, according to a press release. The company offers more than 1,800 high-definition films and series exploring science, technology, history, food, nature, health, human interest and other topics. CuriosityStream also is available via Prime Video Channels, Comcast, Cox, StarHub, Dish, Sprint Mobile TV, Apple TV, Samsung, Roku, LG, Sony, VIZIO, Sling TV, VRV, YouTube TV and others, and has more than 900,000 individual subscribers.